I am documenting this, but I am told by Google it is about a month or so old. 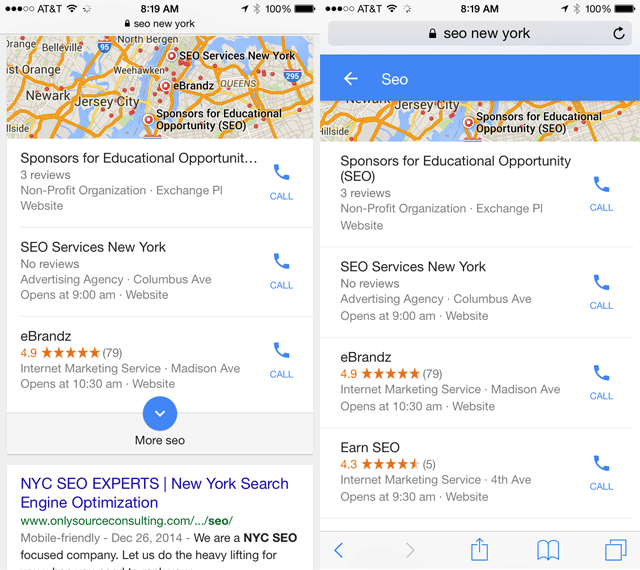 The Google mobile results for searching for local intent queries, will bring up a few local results from Google My Business and then have a circle button with an arrow down to expand and show more. Local results are frequently changing both on desktop and mobile search, so I wanted to document it. @johnelincoln brought this to my attention on Twitter. Watch this space change really quickly.